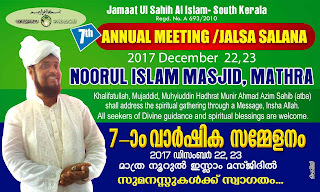 Jamaat Ul Sahih Al Islam, Kerala (South) observed the 7th Jalsa Salana (Annual Conference) at the historic Noor'ul Islam Masjid, Mathra on December 22-23, 2017. On the occasion, our beloved Imam, Muhyi-ud-Din Al Khalifatullah Hadhrat Munir Ahmad Azim Saheb (atba) of Mauritius addressed a special message to the members of the Jamaat in this part of the world. In his speech, Hadhrat Saheb (atba) underscores the significance of 'Taqwa' in our spiritual life. A believer always need to strive for perfect congruence between public declarations of faith and the actual deeds on everyday life. And yet, as a fallible human being, s/he is prone to be tempted and distracted into sins by "Satan and his army". 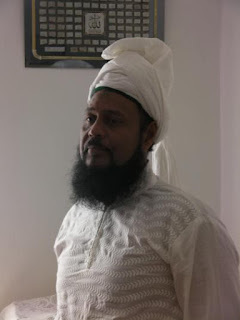 By being aware of God's laws and regulations and restrictions in the affairs of this world; and through seeking Divine forgiveness after misdeeds are committed and by adopting 'Taqwa' as the true commander of the Heart in all affairs, a believer can make a good beginning in the quest for the True Beloved, confirms Hadhrat Saheb (atba). Race with one another towards Forgiveness from your Lord and towards a paradise the width of which spans the heavens and the earth. It has been prepared for the God-fearing; Those who spend (freely), whether in prosperity, or in adversity; who restrain anger, and pardon (all) men; for Allah loves those who do good - and those who, when they happen to commit a shameful act or wrong themselves, remember Allah, then, seek forgiveness for their sins - and who is there to forgive sins except Allah? And who do not willfully persist in the wrong they did. For such the reward is forgiveness from their Lord, and Gardens with rivers flowing underneath - an eternal dwelling: How excellent a recompense for those who work (and strive)! (Al-Imran, 3: 134-137). 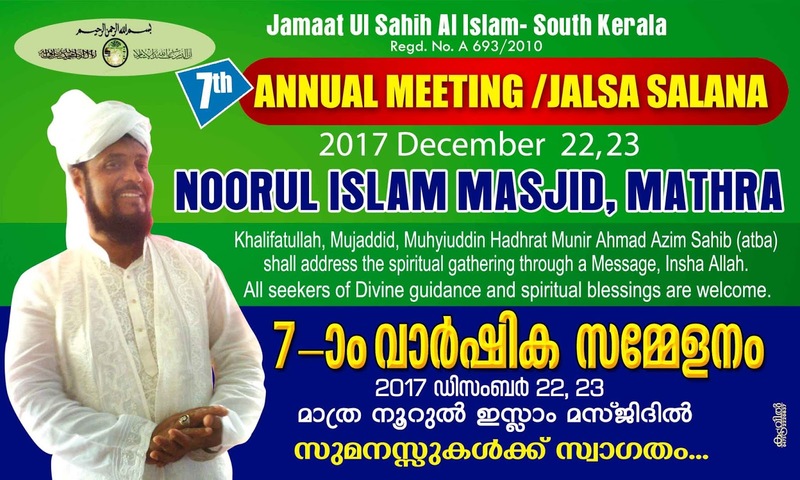 It is indeed a pleasure for me to address you few words on the special occasion of the 7th Jalsa Salana, Kerala - South Zone, being held at our Noor’ul Islam Masjid in Mathra. Like I have always and consistently advised all my disciples and truth seekers worldwide, it is absolutely necessary for a true believer in Allah to conform his life with ISLAM, i.e. the true way of life, by being a true Muslim and complying to all precepts of Islam. That is why, the Jamaat Ul Sahih Al Islam should always promote the true Islam, and mould our members, my humble disciples, and those who shall one day come after me, to be true examples of Islam for their own selves and their families, but also as role models for the rest of mankind. As the year draws to a close, we see many people spending money, either exorbitantly or in useless things, and they waste their money on alcoholic beverages and amusement. One of these waste is the purchase and lighting of firecrackers. Lighting firecrackers is not the work/deed of a Muslim, for a good Muslim is one who lives his life according to the commandments of Almighty Allah. Lighting firecrackers is one of the ways to disobey Almighty Allah. When a person disobeys Almighty Allah he does not remain a good Muslim anymore. Lighting firecrackers is a waste. Someone who indulges in waste, Almighty Allah calls him brother of Satan because Satan attracts the person and makes him move away from Almighty Allah. There is no worse situation than someone getting away (or distancing himself) from Almighty Allah. 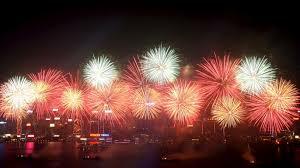 Through the explosion of firecrackers, a person disturbs his neighbour and indisposes those who are already in pain. These explosions prevent people from resting. Someone who tires his neighbour is a Zalim (someone who does wrong). A Zalim exposes himself to divine wrath. Is there life more miserable than living in divine wrath? Since the dawn of time, Allah has sent prophets in all ages and to all the nations of the world. A line of prophets came, all ennobled by the Messenger of Messengers, the Beloved Muhammad (pbuh), all of whom had endured countless hardships, all of whom had experienced the greatest difficulties during their prophetic mission. All of them had to face the fiercest and most murderous enemies, who erected themselves as a metal barrier on the way of these prophets during their stay on this earth. But all had the same feeling, the same reaction: patience, trust in Allah Ta’ala and faith. In addition to the prophets, some of their wives have had the misfortune to experience the worst difficulties too. They also showed an unshakeable patience. Today I will relate to you a little about the sad story of Hazrat Yusuf - Joseph (as). Being a young and handsome boy, he was betrayed by his own brothers and then by the wife of the Prime Minister of the King of Egypt. Imprisoned, he lost neither hope nor patience. His father Yaqub - Jacob (as) had to suffer the worst difficulties because of the abuse caused to his beloved son. He also showed patience and guided by his faith (Iman) and the divine revelations, he relied on Allah Ta’ala. This patience led father and son to reason, victory and family reconciliation. The Holy Quran makes religious progress dependent upon revolution. It says: And in no way do We send the Messengers except as bearers of glad tidings and as Warners. So those who believe and reform themselves, upon them shall come no fear nor shall they grieve. But as for those who reject Our signs, punishment will touch them for their defiant disobedience. (Al-Anam 6: 49-50). 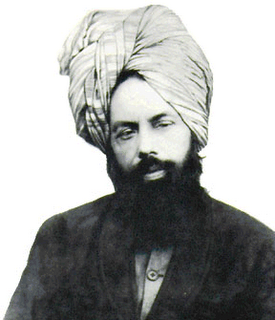 That is, whenever We send a Messenger, he always proclaims two things: (i) he condemns the existing order to death; (ii) and in regard to the system he originates himself he proclaims, without ambiguity that it would be established in the world in its purity, without change or adjustment under any pressure to make it acceptable to this or that people. Those who submit to the system, and mould themselves in conformity with its requirements, survive and prosper, but those who do not do so, they gradually fade out of existence. When a revolution occurs in the religious sphere, in Islamic terminology it is called 'Qiyamah'. Another expression used for it is Khalq-us-Samawat-i-wal-Ardh, i.e. the creation of a new earth and a new heaven. Still another name for it in the language of the Holy Quran is Al-Sa'ah. The word 'revolution' which is roughly translated from the Arabic term 'Inquilab' and described in the context which I just mentioned, refers primarily to the moral and spiritual reformation of oneself, not a political revolution to overthrow a government as may be popularly thought these days by the use of the word. Hence, when a group of individuals or a society have reformed themselves, a revolution in the noble character of man and his dealings with other people and with God is observed. Thus, a condition in the world existed in which the reformation of oneself was demanded to set things right in the affairs of man. Innal-Lillaahi wa inna ilayhi raajiuun. To God we belong and to Him we shall return. That’s the defining thoughts for everyone who face the trial of misfortune and loss. Tragedy has come home to people in our land this week. 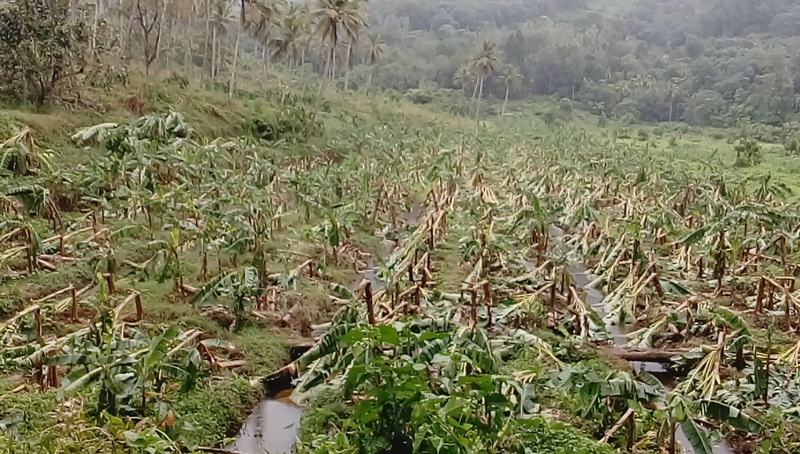 Cyclone Ockhi, the most devastating cyclonic storm in the northern Indian Ocean region since 2015 has struck many lands in its tentacles: the coastal regions of Sri Lanka, the South Indian states of Tamil Nadu and Kerala, the Lakshadweep Islands, and also the Maldives. Nature’s fury in the form of bad winds and cyclonic storms has taken away the lives of scores of people; hundreds of fishermen are missing after the storms, with no information about their whereabouts and search and rescue operations by the Indian agencies still ongoing till now. Beyond the shattered lives, possessions and property worth millions and millions has been destroyed. 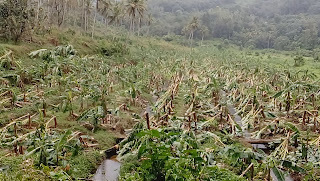 The damage to electricity transmission lines, agricultural crops, roads and passageways will continue to leave a chain of negative effects on the everyday life world of the affected regions and peoples for the months to come. Today is Friday the 12 Rabi'ul Awwal 1439 AH. 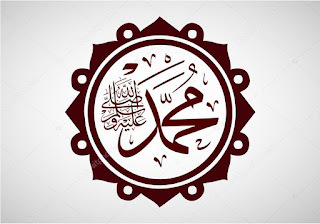 The majority of the Muslim World is celebrating Yaum-un-Nabi - the Day of the Prophet (pbuh), while others call it Milad-un-Nabi - the birthday of the Prophet (pbuh). While celebrating birthdays was not a Sunnah of the Holy Prophet Muhammad (pbuh), each Muslim must bear in mind that celebrations which resemble the practices of the non-Muslims (e.g. cake cutting and blowing on candle and making wishes, partying with dancing, music and alcoholic drinks etc.) are strictly forbidden in Islam. As for us, we prefer to commemorate the Seerat-un-Nabi, i.e. the life story of the Prophet (pbuh) so that we may remind ourselves of his perfect character as a human being and prophet. Muhammad literally means much praised. Even before he made claim to prophethood, his own people knew him to be truthful and trustworthy. 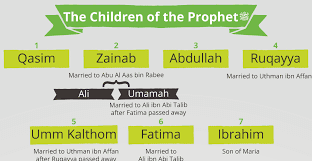 The Holy Prophet of Islam (pbuh) was the father of three sons and four daughters. 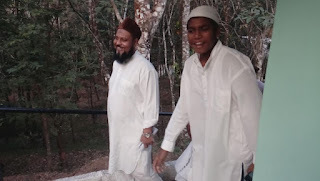 Two sons, Qasim and Abdullah, named in the family Tayab and Tahir were born from Hazrat Khadija. Another son, Ibrahim, later on, was born from Hazrat Maria, his Coptic wife (who later became Muslim). 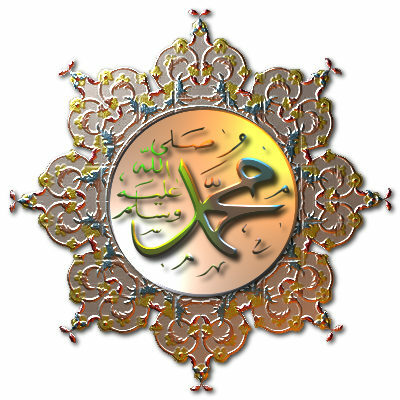 The first born was Qasim after whom, according to the Arab custom, the Holy Prophet himself was called Abul Qasim, i.e. father of Qasim. Qasim died at the age of two before the advent of Islam. Next to Qasim was his eldest daughter named Zainab. Next to her were daughters Ruqayya, Umme Kulsoom, and the youngest of all daughters was Fatima. The youngest offspring of the Holy Prophet and Hazrat Khadija was Abdullah, who passed away as an infant before the advent of Islam. 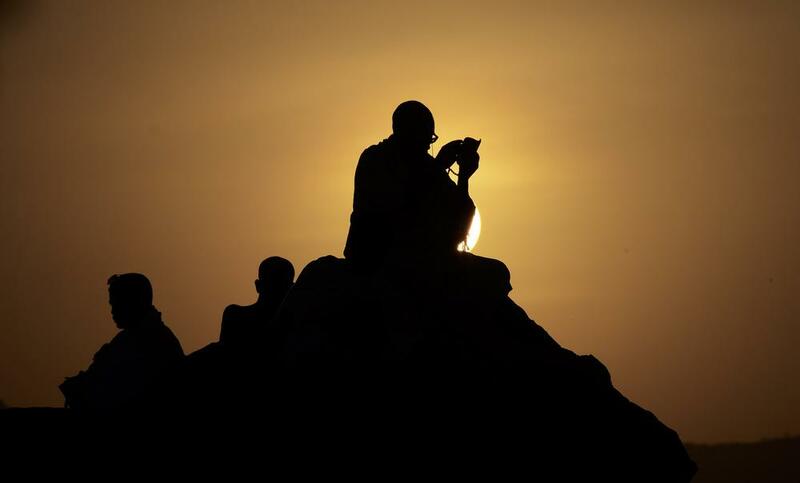 Someone, once, asked the Holy Prophet of Islam (pbuh): When would the Day of Judgement be? The Holy Prophet (pbuh) responded by asking the person what had he done in preparation for it? That was indeed an affectionate reply with deep meaning. One should be more concerned in preparing oneself for it rather than wondering when it would be. Everyone will have to appear before God (Allah). At that time what preparation would you have made in this world to meet God? What is meant is that one should also establish communion with Allah in this world by developing a personal spiritual relationship with Him. It is not a momentary contact with God like a temporary meeting with a friend. 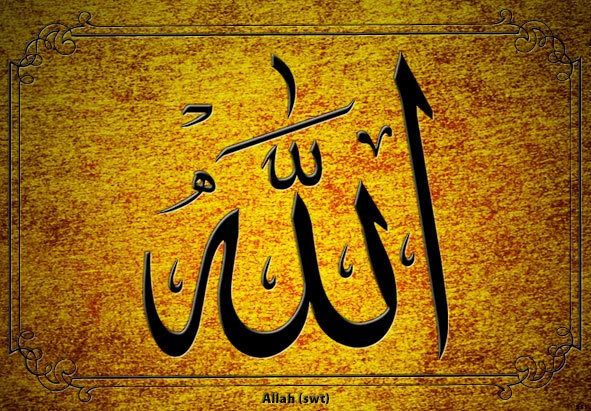 It is a continuous and permanent relationship with Allah. The state of personal relationship with God involves continuous and progressive connection with Him. There is no turning back. This is the Book; there is no doubt in it, a guidance for those who fear Allah. Those who believe in the unseen and keep up prayer and spend out of what We have given them. And who believe in that which has been revealed to you and that which was revealed before you and they are sure of what is yet to come. (Al-Baqara, 2: 3-5). Today by the grace of Allah, I continue the same the sermon that I had started 3 Fridays ago on the subject of the Quran, by reciting the verses 3-5 of the Surah Al-Baqara. The believers need to know when reading the Quran that there is not the least error, or contradiction in it. On the contrary, each verse of the Quran strengthens the other verse and do not create any doubt. But, there are also some people who instead of having their doubts cleared concerning the Quran, their doubts increase. Thus, these types of people need to know that they are not the category of people mentioned in the beginning of the Chapter (Al-Baqara), i.e. they are not the pious, God-fearing people as stipulated in the verse (Verse 3). Those people who do not have any doubt that the Quran contains no doubt, and that it is sure guidance for them, those people are certainly the Muttaquun, i.e. those who have the fear of Allah, and who are truly pious. So, when you invoke Allah through supplications (and prayer), you also need to understand the subjects of the Quran or ask Allah for help to enable you to understand it and Insha-Allah, Allah shall give you the knowledge to well understand the contents of the Holy Quran. It is then that the heart shall be cleansed of any kind of doubt. 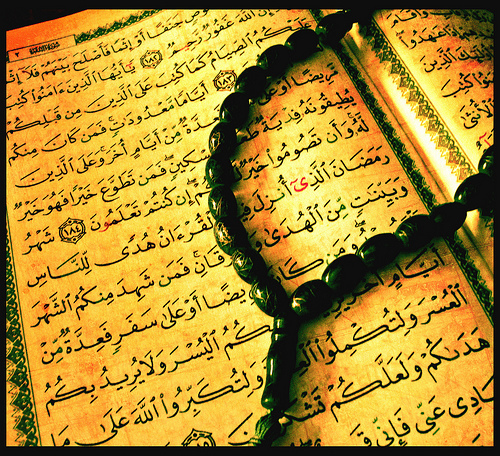 But love for the Quran also demands that you seek this certainty directly from it (i.e. the Quran itself). And the subjects (knowledge) of Allah are unlimited. A lot of times, for the people who have such (positive) thoughts, Allah (swt) enable them to understand certain points (from the Quran). And if they are Muttaquun, then there shall be no problem for them to understand what Allah (swt) has made put in the Quran. It becomes easy(for them). But if they are not Muttaquun, then the same knowledge that they have received becomes a source of doubt, fitna, and disputes for them. This is the Book; there is no doubt in it, a guidance for those who fear Allah. Those who believe in the unseen and keep up prayer and spend out of what We have given them. And who believe in that which has been revealed to you and that which was revealed before you and they are sure of what is yet to come. ---(Al-Baqara 2: 3-5). By the grace of Allah, Allah (swt) has given me the Tawfeeq today to continue on the same subject of my sermons from the previous two Fridays. So, I stopped where, when you go to the mosque, then you have to take your beauty with you too, i.e. in this case, your Taqwa (fear of God, piety). The Quran has already described this beauty as Taqwa. It is necessary that each person becomes a Muttaqi (that is, someone who has the fear of Allah, who is pious), otherwise it will be difficult for him/ her to keep the mosque prosperous, and if the God-fearing people preserve the prosperity, freshness and peace of the mosques, then there will be so many blessings in these mosques, beyond your conception/ imagination. Then Allah (swt) says that it is these people who will have faith (Iman) in “what is yet to come”. Here, “what is yet to come” is two-ways (i.e. has two interpretations) when we study (closely) this verse. As you follow this verse, you will find that Allah says, “And who believe in that which has been revealed to you and that which was revealed before you and they are sure of what is yet to come (i.e. in the future).” - Then, like I have already told you in my previous sermons, it refers to the continuation of divine revelations and messengers after Hazrat Muhammad (pbuh), those who will confirm this Quran, The Perfect Book of Allah. “Once I was reading the Chapter 18 of the Holy Quran, Surah Al Kahf, which means “The Cave”. This Surah mentions the Dhul Qarnain. When I studied this chapter deeply, I noticed that the story mentioned in it coincides with the conditions we are living in this era. This chapter mentions the first trip (travel/journey) of Dhul Qarnain (in the West), where he reached a place where he found the sun setting as if it were in a pool of murky water. After that, the Dhul Qarnain made another trip and this time he went to the East. During the course of that travel, upon reaching midway he met a person/people who were naked, totally exposed to sunlight; there were nothing to protect them from that deep heat, not even a shadow. Then the Dhul Qarnain made a third journey and at the end of it he met a people who informed him about the persecution and ill treatment of Gog and Magog upon them. These people even supplicated him to protect them against Gog and Magog. This is the Book; there is no doubt in it, a guidance for those who fear Allah. Those who believe in the unseen and keep up prayer and spend out of what We have given them. And who believe in that which has been revealed to you and that which was revealed before you and they are sure of what is yet to come. (Al-Baqara 2: 3-5). By the grace of Allah, Allah (swt) has given me the Tawfeeq to continue the second part of the sermon which I started last week there (Last Friday) in which I mentioned the absolute necessity for the Mumineen (believers) to undertake journeys/ voyages of the Holy Quran every day. Quran says that for this voyage, there should be all kinds of provisions. The provision which has been mentioned is Taqwa, i.e. the fear of Allah. And that's the same provision which is needed to acquire (the in-depth meanings of) the Quran also. Taqwa and Quran do not concern the daily (mundane) voyages (of someone). There are not gained through only one such voyage which you may do only once a year. You need the Quran everyday and every day with the support of Taqwa as a provision you would be able to obtain something from the Quran. This is indeed very important, fundamental. And for that, it is not necessary to organize programs. Certainly, programs create the interest for it (i.e. the Quran) all year long, but it is the interest of parents which is necessary (which needs to be awakened). Firstly, parents - mother and father should take interest in it for their own beings. At whatever age they (be them the parents themselves, or their children) have reached, they must determine that we start the journey to Allah. And this journey/ voyage is not possible without the Quran. And to enable the journey of the Quran, we should have provisions, just like when people travel, they take stocks/ provisions with them. And here the provision which is fundamental for that voyage is the Taqwa. Allah (swt) states that this is indeed a perfect book in which there is no doubt. But there is no doubt also that this Book is guidance for the truly pious (God-fearing) only. Those who have Taqwa shall certainly receive guidance from the Quran. So, Taqwa has been linked together with the Quran. Several Ahmadi Muslim brothers and their families in India, previously working within the Nizam-e-Jamaat-e-Ahmadiyya under the Khalifatul Massih V, recently came to hear about the Divine Manifestation in Mauritius in the person of Hadhrat Munir Ahmad Azim Saheb (atba), and his claims about being Divinely-raised as the "Muhyi-ud-Din" and "Mujaddid"/"Khalifatullah" of this era, with a mandate for the reform of the human morals and the renewal of the Spiritual Path in our era. Based on their fervent prayers and supplications, Allah (swt) has unveiled the Divine mysteries of raising His Elects through beautiful dreams vouchsafed to these fervent seekers, Alhamdulillah. In his Friday Sermon of 20 October 2017(29 Muharram 1439 AH), speaking in the context of Divine revelations, especially prayers and supplications that could be fervently invoked by true seekers in the Divine Path in the varied contingencies of our everyday lives, the Muhyi-ud-Din Al Khalifatullah (atba) officially acknowledged the new Bai'ats in Tamil Nadu, India and also shared a beautiful testimonial made by one of the new brothers in the Jamaat Ul Sahih Al Islam International, Alhamdulillah, Soumma Alhamdulillah. "O my dear disciples throughout the world, become such kinds of people who, through them Allah (swt) can manifest Himself, and be present with them wherever them are. Become such kind of people and Allah shall show extraordinary signs in your favour and He shall manifest His signs (for your sake) more quickly, Insha-Allah. I give you an example. By the grace of Allah, there are our brothers and sisters in Tamil Nadu in India who have recently recognized the truthfulness of this humble servant and messenger of this era and they took the Bai’at (oath of allegiance). This is the Book; there is no doubt in it, a guidance for those who fear Allah. Those who believe in the unseen and keep up prayer and spend out of what We have given them. And who believe in that which has been revealed to you and that which was revealed before you and they are sure of what is yet to come. -(Al-Baqara, 2: 3-5). For today's sermon, I have specially chosen to speak on the subject of Ibaadat (worship/ acts of worship - of Allah). This is why I have read these few verses of Surah Al-Baqara. By introducing the Quran, the first thing which Allah (swt) has said: “This is the Book; there is no doubt in it.” The point to be noted here is that Allah is referring to The Book, His Book, such a Book which is perfect, wherein there is no trace of error. It contains lots of meanings. It is such a Book which is far away from you but if you fulfill certain conditions, then this very Book can come near to you. Afterwards the word “Zaalikal” - This is - indicates also the value of the Quran, and contains several prophecies. It also refers to the perfection of the Quran. In fact, all past prophets foretold the advent of Hazrat Muhammad (pbuh) and they said that he shall bring a Great Book. Al-Kitab (literally ʻThe Book’) here means a promised Book awaited by all nations since ages. And today this Book is before us. Another explanation is that this Book, which is far away from you, can become closer to you. And there is no doubt in this. That is, there is no doubt in the fact that this Book can come closer to you. Now, when we read “La Rayb” together with “Zaalikal”, then it defines this Book as a perfect one, wherein no doubt resides in it (in its truthfulness - that it contains only the truth) and that it is a guide for all pious people (those who fear Allah). 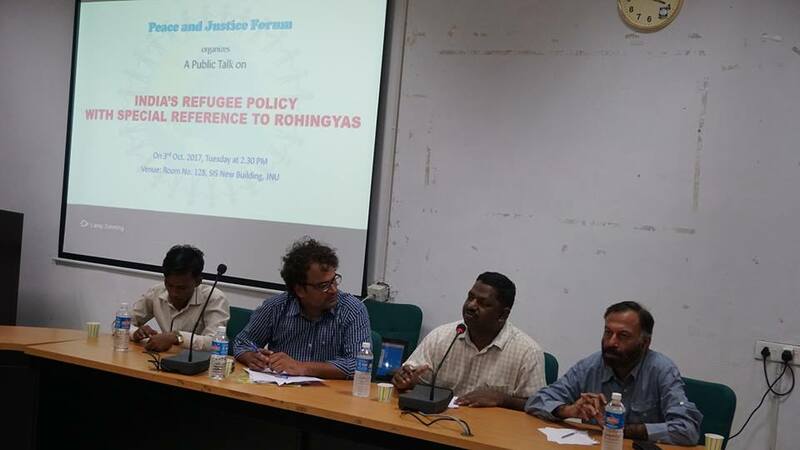 Peace and Justice Forum, a student-run Discussion Forum at the Jawaharlal Nehru University in New Delhi, recently organized a Panel Discussion on the ongoing refugee crisis in India's neighbourhood. 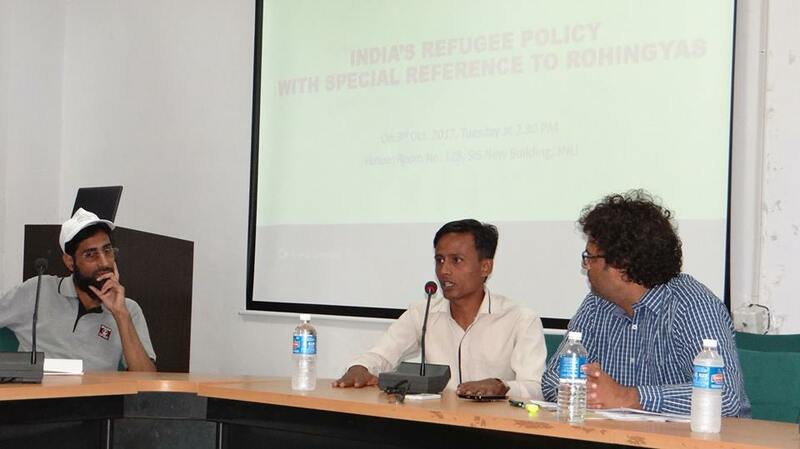 With hundreds of thousands of people belonging to a minority Muslim faith in the Buddhist-majority Myanmar being suddenly forced to abandon their homes, flee from the land and seek refuge abroad, especially in Bangladesh; the Discussion took place against the backdrop of the evolving national debate in India on the crisis in the region. 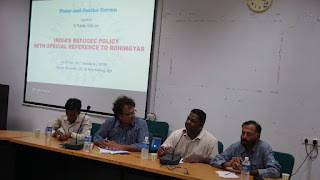 Mr. Siraj, a refugee from the Rohingya community, was one of the Panelists, sharing a searing testimonial of what it means to be a refugee, being forced to abandon one's people and livelihood behind to escape injustice and oppression in the land. He spoke of a time when his grandfather and others of that generation and before could work and live as common citizens in Myanmar with all legal rights and civil protection available to all other citizens in the country, pointing to the enormous change in the fortunes of Rohingyas from being 'citizens' to 'stateless persons' in Myanmar. 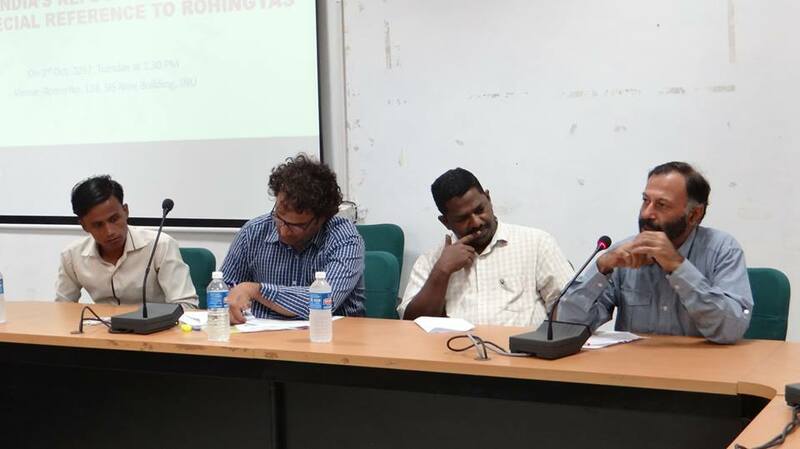 Two journalists on the Panel- Mr. Prashant Tandon and Mr. Akhlaque Usmani- shared their perspectives on the problem, reflecting on the Rohingya community's travails in recent decades as well as on the debate currently on the issue in the Indian media and government circles. As a student of international law and justice, this writer had the pleasure and privilege of chairing the programme that included a lively opinion-sharing, question-answer session with the audience. In that public conversation, one could argue that international law considerations are potentially important on three distinct sets of issues and concerns in the context of the present problem from the standpoint of (i) ensuring accountability of the perpetrators of the crimes against humanity in Myanmar; (ii) providing immediate humanitarian relief and assistance to the victims of the forced displacement; and (iii) the duty/responsibility/obligation of States like India to receive refugees even in the absence of a national refugee law. Alhamdulillah Summa Alhamdulillah, it is purely by the grace of Allah that I am able to continue my sermon today on the subject of “duahs”, more specifically the fourth sermon on the subject of duahs as revealed to me by Allah (swt). What is amazing is that these duahs can be found in the Holy Quran also, such duahs which were revealed to His Messengers in the past, and there can even be some duahs among those which I shall mention which Allah revealed to Hazrat Massih Ma’ud (as) also. But in this present era, Allah has also revealed these duahs again to His Khalifatullah. Alhamdulillah, if I am false, a liar, would Allah have revealed these duahs to me? What can my enemies say about these duahs? Are these satanic also? (God Forbid). And if they label them as satanic, then their belief on the Holy Quran also has been trampled and they are not worthy to read the Holy Quran. When they humiliate me, in their stupidity, they trample at the same time the teachings of the Holy Quran to dust. (O my Lord) Do not leave any non-believer on earth. Through this duah, we understand that people in whose destinies have been inscribed infidelity (disbelief), they would not be able to escape from this (i.e. this condition of disbelief, and the subsequent punishment). But we need to understand this duah, that it is not a duah to exterminate all infidels, for it were so, then how people could ever have become Muslims today? Verily it means that (O Lord) all people in whose destinies have been written that they are disbelievers, remove them from this world. And this duah was truly invoked by Hazrat Nuh (as). Now, these infidels can produce disbelieving children like themselves. Therefore, it would be best (if Allah were) to remove them. This was the duah of Hazrat Nuh (as). Rabbij alni Ghaleban ala Ghayri. O my Lord, give me victory over those who are strangers to me. And afterwards, there is this second revelation which showed my victory and the acceptation of my duah by Allah. Give me victory in mundane affairs as well as spiritual affairs. Street Light Foundation, a Kuwait-based NGO of concerned Indians from Kerala, organized a local community function at Mathra with a view to spread goodwill, empathy and understanding among people on the Indian festival season of Diwali, the Festival of Lights. 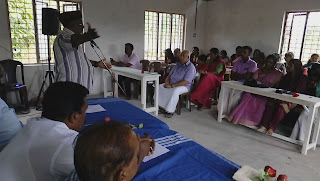 The event was held at the Old-Age Home (being run by the Meera Charitable Trust ), Mathra (Kerala, India) on October 18, 2017. 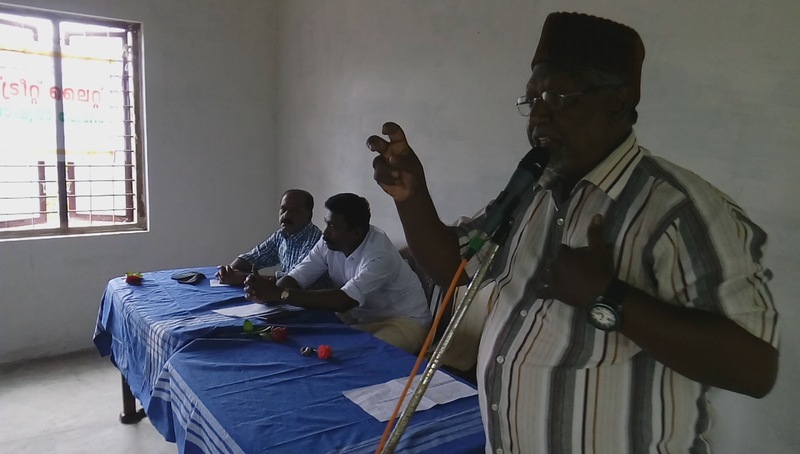 The Amir of Jamaat Ul Sahih Al Islam, Kerala- South Zone (India), Mukarram R. Jamaluddin Saheb, was among the speakers on the occasion. 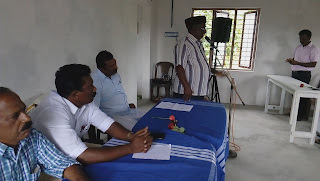 In his speech, the Mukarram Amir Saheb shared the perennial, sublime spiritual message of all Elects of God all through history- Sri Ramchandran ji, Sri Krishna ji, Jesus Christ, Prophet Muhammad (sa)- the essence of which is to lead a good life in service of fellow humans. 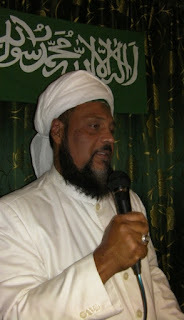 Emphasizing on the common ground of all religious traditions and spiritual messages from the past, the Amir Saheb urged the audience to gaze at the universality of spiritual consciousness and our common humanity as the foundational bases for building solidarity with the less privileged and to do service to fellow men and women in our (local and global) communities. He emphasized that a life well-lived is one that is dedicated to the service of fellow beings. Indeed, such service is a noble path to realize the ultimate purpose of life in this fleeting world: Worship of the Divine, Alhamdulillah, Soumma Alhamdulillah. 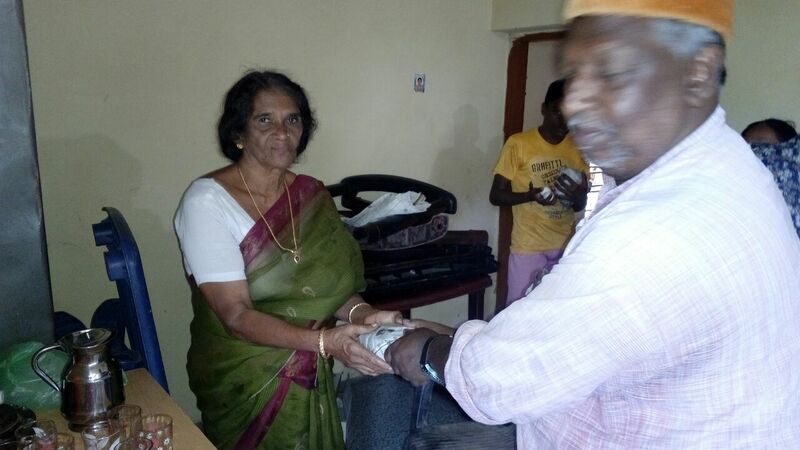 Four members of the Jamaat Ul Sahih Al Islam- Kerala visited the Old-Age Home at Mathra, being maintained by Mrs. Jameela Rajagopalan of the Meera Charitable Trust in service of destitute, old women, on Friday, October 13, 2017. 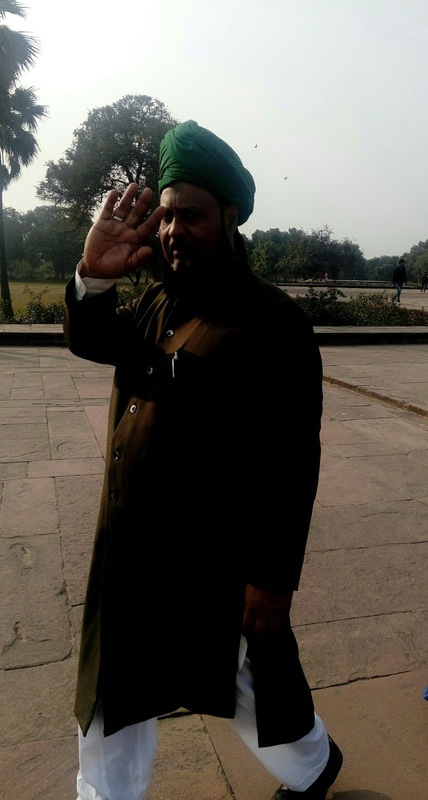 The Jamaat delegation consisted of Mukarram Amir Jamaluddin Saheb, Naib Amir Sadiq Ali Saheb, Secretary-Tabligh Sulfikar Ali Saheb and this humble blogger. 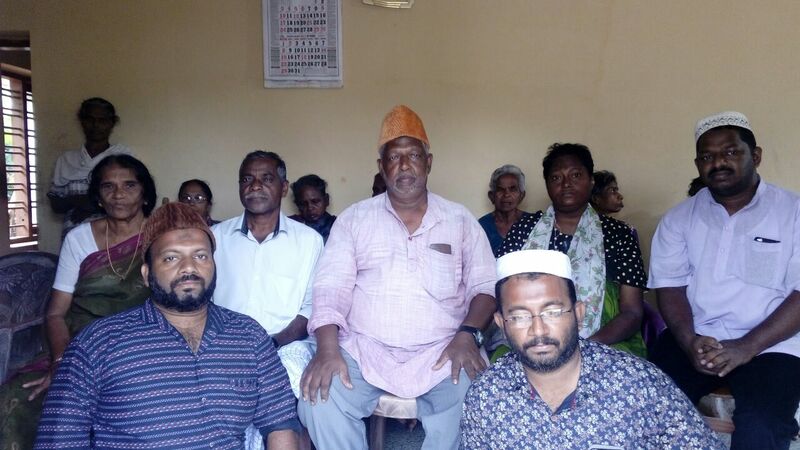 The visiting delegation offered a Sadaqah in the name of our senior member Shareefa Beevi Esmail Saheba, who has age-related ailments now; the Sadaqah was in the form of providing Breakfast for all the inmates of the Institution, Alhamdulillah, Soumma Alhamdulillah. By the grace of Allah (swt), He has given me the opportunity to continue the series of my sermons on duahs, so that they may be of benefit to all members of the Jamaat Ul Sahih Al Islam throughout the world. May Allah (swt) continue to pour down His blessings upon me and continue to reveal me more duahs so that I may distribute them, these spiritual treasures to all my disciples throughout the world so that they may benefit from them in their daily life, Insha-Allah. 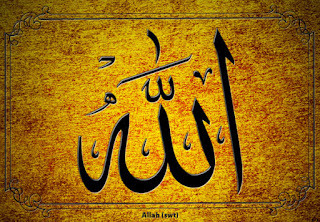 Since the beginning of the Divine Manifestation in the year 2000, Allah has revealed to me several duahs to support and comfort me in the several trials which this humble servant of Allah had to go through and continue to bear, as well as all my sincere disciples, and by the grace of Allah, Allah (swt) is with us and reveals such duahs which verily acts as a true, and extremely effective and powerful weapon for the sincere believers. Rabbana la tajalna dawmatal lil qawmil jaahileen. O our Lord, do not let us become prey for the ignorant/ the dominating people. Then: Wajal afedatam menan-naase tahvee elayhim. Make the hearts of many people turn in our direction. This is indeed a good news for (our) progress. 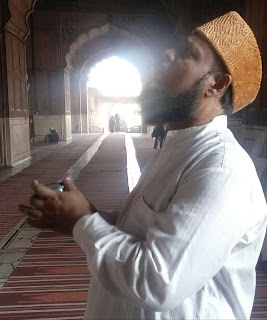 A visible example is how Allah has turned the hearts of people towards this humble servant in this era and by the grace, look at our website; see how many countries, many people (nations) have accepted this humble servant (of Allah) and Jamaat Ul Sahih Al Islam. Alhamdulillah-ir-Rabbil-Aalameen. Alhamdulillah, Summa Alhamdulillah, today is the first day of our Jalsa Salana, and Alhamdulillah, the subject of my sermon for today shall be on DUAHS (i.e., the invocations, supplications or prayers which we need to address to Allah), and is thus a continuation of my sermon of last week. In one of his books, the Promised Messiah (as) advised his Jamaat; and by the grace of Allah, in this era, I also advise my Jamaat to recite this duah in the last Rakah (cycle) of your Namaz (Salat/ prayer), after Ruku, after having recited: “Rabbana wa lakal-Hamd; Hamdan kasiran tayyeban Mubarakan fih” then recite: “Rabbana atina fid-dunya hasanatan wa fil ʻaakhirati hasanatan waqina ʻadhaban-naar.” - Our Lord! Grant us good (or success) in this world and good (or success) in the hereafter, and save us from the chastisement of the fire. We recite this duah usually when we find ourselves in the sitting position after Sijda. Thus, it is not obligatory to read it every time but one who finds that he can do it, then let him do it (i.e. recite this duah as many times that he wants), where he asks Allah: Grant us success in this world and success in the hereafter, and save us from the chastisement of the hellfire. A duah of Hazrat Adam (as) which I recommend my Jamaat to recite is as follows: “Rabbana zalamna anfusina wa illam taghfirlana wa tarhamna lana kunana minal-khasireen” - Our Lord! We have wronged our own souls: If You do not forgive us and do not bestow upon us Your Mercy, we shall certainly be lost. This duah was verily accepted by Allah in favour of Hazrat Adam (as). By the grace of Allah, today the Jamaat Ul Sahih Al Islam is doing lots of progress in the field of spirituality, in countries which we did not expect, yet Allah (swt) gave these nations/ countries guidance (Hidayah), and opened their hearts to Sahih al Islam. Indeed Allah (swt) has blessed this small island called Mauritius and it is in this in this island that He has raised His chosen servant with the Holy Spirit.